By appointment. Please email me. Thanks! 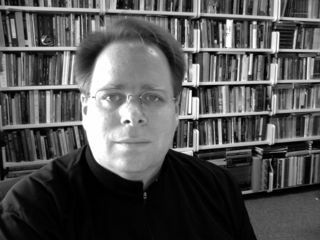 Kurtis R. Schaeffer is the Frances Myers Ball Professor of Religion and the Chair of the Department of Religious Studies at the University of Virginia. He is a student of Buddhist history and culture, with a special interest in the spiritual literature of Tibet and the Himalayas. He is the author or editor of nine books, including the largest anthology of Tibetan literature in English and, most recently, a translation of the life of the Buddha. Schaeffer co-directs the half-century old Tibetan Buddhist studies graduate program at the University of Virginia and, with Martien Halvorson-Taylor, directs the Global Religion Lab at UVA. Sources of Tibetan Tradition. Ed. by Kurtis R. Schaeffer, Gray Tuttle, and Matthew T. Kapstein. New York, NY: Columbia University Press, 2013. A volume in the Sources of Asian Civilization series. The Tibetan History Reader. Ed. by Kurtis R. Schaeffer and Gray Tuttle. New York, NY: Columbia University Press, 2013. The Culture of the Book in Tibet. New York, NY: Columbia University Press, 2009. An Early Tibetan Catalogue of Buddhist Literature: The Bstan pa rgyas pa nyi ma’i ‘od zer of Bcom ldan ral gri. Kurtis R. Schaeffer and Leonard W. J. van der Kuijp. Cambridge, MA: Harvard Oriental Series, 2009. HOS64. Power, Politics and the Reinvention of Tradition in Seventeenth and Eighteenth Century Tibet: Proceedings of the International Association for Tibetan Studies, Xth Seminar, Oxford University, 2003. Ed. by Kurtis R. Schaeffer and Bryan J. Cuevas. Leiden: Brill, 2006. Dreaming the Great Brahmin: Tibetan Traditions of a Buddhist Poet Saint. Oxford: Oxford University Press, 2005. Himalayan Hermitess: The Life of a Tibetan Buddhist Nun. Oxford: Oxford University Press, 2004. Among Tibetan Texts: Essays on Tibetan Religion, Literature, and History by E. Gene Smith. Ed. with an introduction by Kurtis R. Schaeffer. Boston, MA: Wisdom Publications, 2001. In the Studies in Indian and Tibetan Buddhism Series, a refereed series.